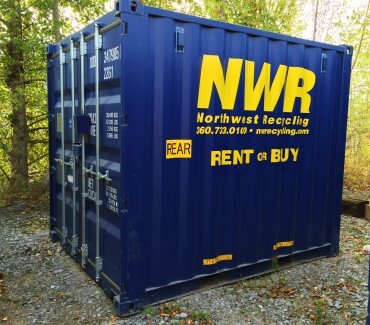 10' Storage Container - Northwest Recycling, Inc.
Northwest Recycling’s 10′ storage container is the perfect solution if you only need a little extra space for storage. If you have limited space on your property this is the best storage choice for you. Many of our customers utilize these as tool sheds, garden sheds or to store belongings while performing a remodel. Even better, these storage units work really well for securely storing building materials for your next DIY project. 10′ storage containers have two swinging doors on one end of the container.